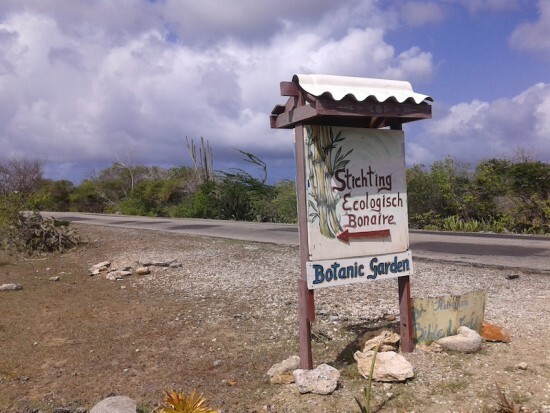 In Bonaire, farming on a small scale (smallholding) has been practiced successfully for the past several hundred years, and now, residents are slowly realizing the benefits of locally produced food. Especially its positive economic and environmental impact. At the monthly farmers markets and at Krusada, you will find sustainably grown and locally produced fruits and vegetables. Buy a smoothie and stroll amongst the food stalls with their sumptuous vegetables, colourful fruit and aromatic herbs. The market is held on the last Saturday of the month and organised by Go Green Natural and Organic Shop. Kaya Simon Bolivar Boulevard, Kralendijk. I visited two projects that sell produce at the farmers markets: Krusada and the Botanical Garden. Krusada is simultaneously helping Bonaire become more self-sufficient and helping the Krusada residents overcome their struggles with addiction. Krusada grows bananas, spinach, tomatoes, okra, and cucumbers, they keep chickens, and they rear and sell goats. They keep the goat population at around 100 animals. Krusada has three large, fully operational, shade houses with drip systems and supporting structures for the vegetables, which keeps them of the ground. 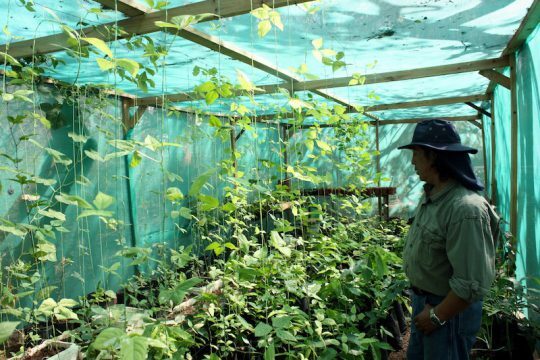 Two of the shade houses provide in the needs of Krusada, the third one is used to grow vegetables for the local shops and restaurants. 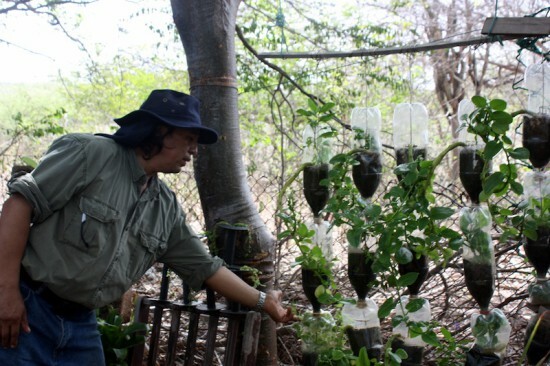 Engineer Manuel Simbana Vargas, originally from Ecuador, is all about organic farming; he knows everything about organic fertilizers and eco-friendly pesticides and he has a broad knowledge of organic herbs that can cure or prevent all sorts of diseases and ailments. Manuel feels that in Bonaire more can be done to develop small scale agriculture (smalholding). Manuel showed me around in his lovely botanical garden. He only uses recycled materials in the garden. PET bottles, for instance, are now used as herb containers. He loves to show his botanical plants. 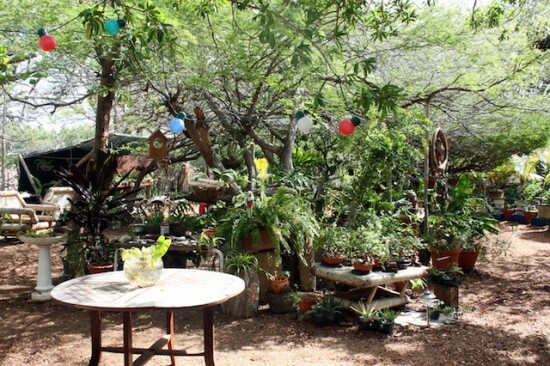 He is convinced that the people of Bonaire can grow their own food right outside their homes. 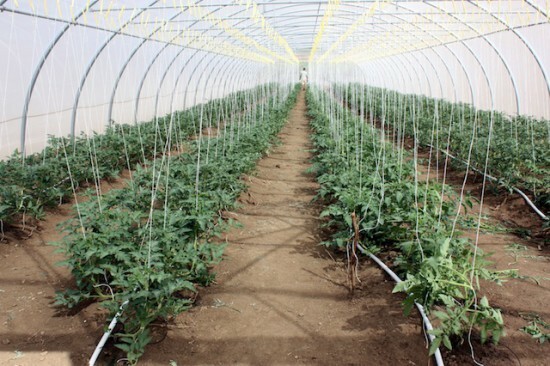 It’s healthier for them and their families, because everything they buy in the shops that is imported from the US or the Netherlands is usually full of pesticides. All that is needed is education. And that is exactly what Manuel provides: his enormous knowledge of smallholding farming, particularly here on Bonaire. He himself grows vegetables which he sells at the farmers market. The tour through his garden is wonderful and you can buy some of his herb tea at the end. When I left he gave me a home-made, all natural, pineapple juice, which tasted lovely. How to get there? On the road from Kralendijk to Rincon (Tras di Montagne) you see the sign “Stichting Ecologisch Bonaire Botanical Garden”. Hi Jeannette. I was thinking maybe you would like to make an update to this article. If so, please contact me.